These are just some of the questions that were answered at Safety & Health Expo 2018, which returned to the ExCeL London in June 2018, attracting thousands of health and safety professionals and establishing itself among the world’s leading industry events. The event grappled with some of the biggest challenges and latest trends within the health and safety issue, with a particularly focus on new legislation and an increasing – and urgently-needed – focus on mental health and wellbeing in the workplace. The winners of this year’s Rising Star award. 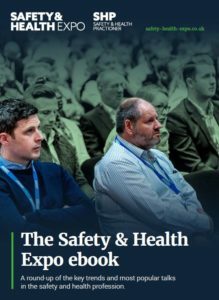 Safety & Health Expo eBook – trends and highlights from the 2018 seminars The Safety & Health eBook rounds-up some of the insights and highlights of Safety & Health Expo 2018.